Dr. Mark Knautz moved to the Marietta area in the late 70’s. From John McEachern Highschool he went on to Oglethorpe University and obtained a Bachelor of Science degree in biology. After obtaining his medical degree from Medical College of Georgia, he remained in Augusta and completed an internship internal medicine and residency in dermatology. Dr. Knautz is a board certified Dermatologist and a Diplomate of the National Board of Medical Examiners. He servedon the Botox National Education Faculty, where he instructed other physicians in the treatment of Botox. He has a special interest in using Botox to correct facial wrinkles and to treat excessive sweating. Dr. Knautz practices general dermatology treating patients of all ages. 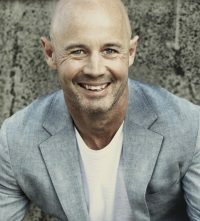 As a specialist in conditions of the skin he is trained in the treatment of skin, hair and nail disorders such as skin cancer, acne and infections of the skin. The treatment of psoriasis and other inflammatory conditions of the skin are special interest. Dr. Knautz utilizes the newest biologic therapies as well as the more traditional treatment of patients with psoriasis. Dr. Knautz has served on the Executive Committee for Public Relations and the Board of Censors for the Cobb County Medical Society. 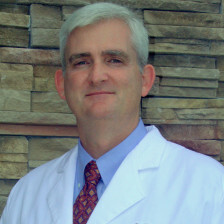 He is on the medical staff of Wellstar Kennestone Hospital and is a past chair of ambulatory medicine at the hospital. He is a member of the American Academy of Dermatology, American Society of Dermatologic Surgeons, Medical Association of Georgia, Georgia Society of Dermatologists and the Atlanta Dermatological Society. As director of the Marietta Dermatology Dermatolog Clinical Research, he is involved with ongoing research on new therapies becoming available for skin conditions. Questions regarding research should be directed to April Brown at 770-422-1013 ext.1041 or abrown@mariettaderm.com. Dr. Knautz resides in Marietta with his wife and two sons. He is active in the community participating in service organizations and coaching youth sports.